How are you presenting yourself and your work to your audience? About pages are really important to show your audience more about you, your work and your ideas. It’s a nice way to get more personal and go behind the business side of things. Designing a nice about page can be challenging. For this reason, we gathered a some super inspiring about pages examples to inspire you. You’ll notice all of these examples are unique in their own way, but all possess excellent typography and use of images. Enjoy! Really like eye-catching illustrations of Mostly Serious. Great idea of merging textures and personalities by almost adding 3d effect to them. 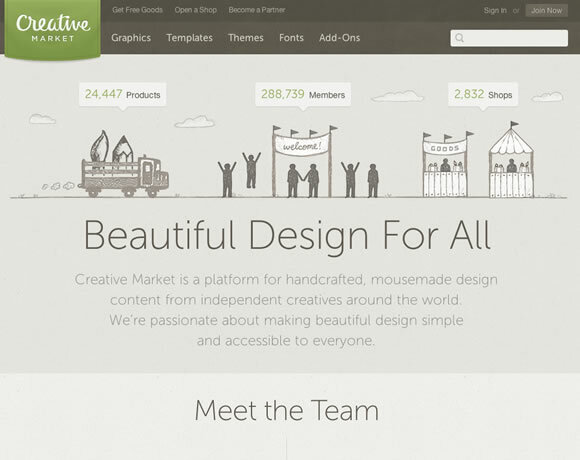 Creative Market is another favourite. A dash of colour really brings out and settles the minimalistic design of the page. I agree with you, Barry. The illustrations are really creative, and also speak to the company itself. I think it adds a nice element to what could be a bland page. All of these examples, though, are really great. I love companies that are as quirky as the people that work for them. 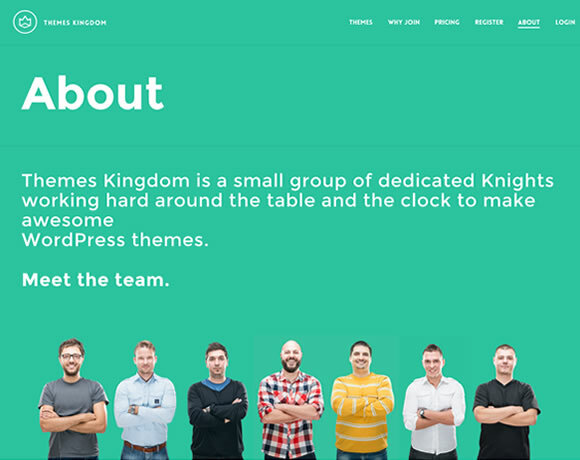 The about us page is just SO important… it’s something I’ve been adamant about for a long time. Usually it something that many designer consider it as a mere ‘throw away’ page. It isn’t. We spent ages designing ours and I genuinely believe it helps create that unique relationship between ourselves and our client. Thank you – another thought-provoker that will have me addressing my About page once again!